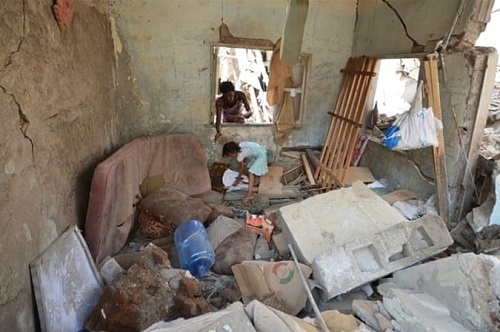 The ongoing war in Yemen has reached an even more deadly stage, as the Saudi-led coalition begins strikes against Hodeidah. The town includes the biggest port in Yemen, and has provided a vital lifeline for many across the country, with over 70% of Yemen’s imports, food and aid shipments flowing through it. Humanitarian organisations have warned that strikes would be devastating. Save the Children said that vital aid will be cut-off and a further 340,000 people could be displaced. It has also licensed substantial amounts of weaponry to the United Arab Emirates and the other regimes taking part in the ongoing bombing campaign. Campaign Against Arms Trade (CAAT) is a UK-based organisation working to end the international arms trade. The arms business has a devastating impact on human rights and security, and damages economic development. Large scale military procurement and arms exports only reinforce a militaristic approach to international problems.